This tutorial uses GPEDIT.MSC. This is not available in all versions of Windows 10. 1. Press the Windows + R button on your keyboard and type GPEdit.msc. 2. 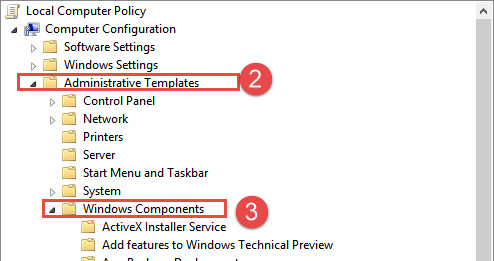 Unfold Administrative Templates under Computer Configuration. 4. Click on the Windows Update folder. 5. Double-click on No Auto-Restart with logged on users for scheduled automatic update installations. 6. Check the Enabled box. These settings only take effect after a system reboot. We hope you liked this tutorial. 7 months later, this still doesn’t work. 🙁 We’ve had that policy set from day 1; we have a number of sales people and such that really can’t have Windows Update randomly interrupting their presentation because Windows 10 noticed it had updates. It just blows through the Policy. I thought this would do it but it seems my Windows 10 Pro is ignoring that policy. I’m still getting automatic reboots. Perfect, many thanks! I’ve only had W10 install 2 days and it lost some stuff I had open last night!